I know that we are already successful because the transition we seek is well underway and gaining momentum. The status quo of reckless resource exploitation, profit-fueled pollution and gutless capitalism is in its death throes. It will be a long and violent death, and we must fortify ourselves and younger generations for a vicious final face-off. We must seek allies whenever and wherever we can. We must cultivate compassion for each other and for ourselves, because change is hard and uncomfortable and we all rebel against it regardless of how deeply we believe in it. We must exalt in the knowledge that we are already winning. Dear Friends: this is the last post of “The Harbinger”. I am going to end this blog because I am moving back to the US in a month for an extended period. I will be ‘bi-coastal’ for a while, working sometimes in Halifax, sometimes in Massachusetts. Anyway, you can follow my twitter account, which is all about environmental and social justice issues, and modern Buddhism. 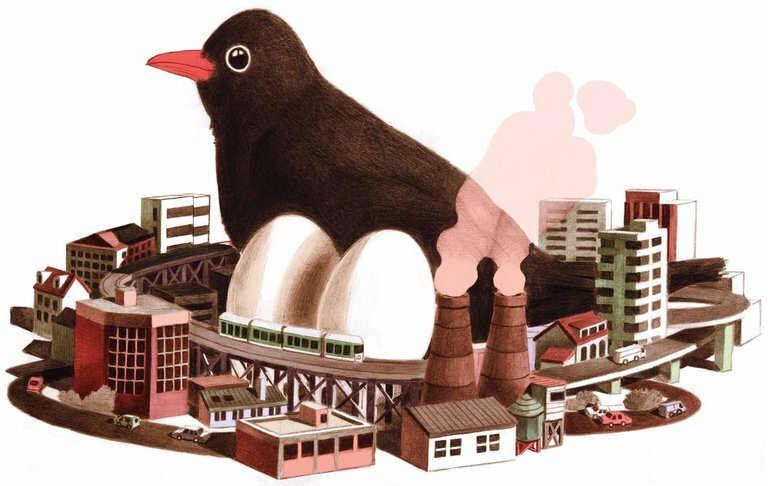 @shaunbartone This is a recent article from the New York Times on the rapid evolution of species in urban environments. I had read in the past that human evolution is happening faster than we ever thought possible as well. The question is: how are we evolving and are we evolving for the better? THERE are more examples: Spiders in Vienna are evolving to build their webs near moth-attracting streetlights. In some cities, moths, in turn, are developing a resistance to the lure of light bulbs. Certain Puerto Rican city lizards are evolving feetthat better grip urban surfaces like concrete. Some grass is adapting to the relentless regime of the lawn mower by acquiring a shorter stature. Mexican President Enrique Peña Nieto, Canadian Prime Minister Justin Trudeau, and U.S. President Barack Obama at the North American Leaders Summit on Wednesday. On one side of the Atlantic Ocean last week, the U.K. instigated the prospect of the European trading bloc—too tightly integrated on monetary and labor policy for comfort—coming apart. On the other side of the Atlantic this week, a more loosely affiliated trading bloc agreed to work more closely together. On Wednesday, the heads of state of the United States, Mexico, and Canada met at the North American Leaders Summit, aka the “Three Amigos” Summit. Among other things, they announced that they would all commit to an effort to get 50 percent of their countries’ electricity from what they called clean sources by 2025. There’s both more and less than meets the eye here. For the purposes of this 50 percent goal, the Three Amigos are including nuclear energy—which is emissions-free, but not renewable, and from which the U.S. already derives about 20 percent of its juice. What’s more, the three countries already get a combined 37 percent of their electricity between them from clean sources as they define them. Getting to 50 percent in a decade from this high baseline isn’t that much of a leap. But there are other things at work. Mexico, Canada, and the U.S. are a really powerful trading bloc with a combined population of about 465 million and a combined gross domestic product of well over $20 trillion. They enjoy a pretty high level of trade integration when it comes to physical goods and services, too. But in a few under-the-radar ways, the countries are already using trade to iron emissions out of electricity production. And there’s much more that can be done. But there could be much, much more. We may have killed off the Keystone XL Pipeline, but plenty of other energy-carrying pipelines are being pitched. New England and New York are in the unhappy circumstance of having vast population centers in states whose governments wants to iron out both coal and nuclear from their energy mix while resisting the construction of natural gas pipelines that would enable more production of electricity from that fossil-fuel source. So developers have proposed a series of projects and transmission lines that could carry clean power from Canada into the Northeastern U.S. There’s the Northeastern Pass, which would carry hydroelectric power from Quebec into New Hampshire; the Northeast Energy Link, which would carry wind power from Canada and Maine into Massachusetts; and the Can-Am Link, an undersea cable that would convey power from an offshore Nova Scotia wind farm to Massachusetts. The story is a little different with the U.S. and Mexico, whose trade relationship isn’t exactly what people think. Overall, the trade deficit with Mexico is actually quite small: about $60 billion in 2015, or .03 percent of U.S. GDP. That’s down from $75 billion in 2007. The trade in petroleum used to account for a big chunk of the U.S. trade deficit with Mexico. But as production by Mexico’s state-controlled behemoth Pemex faltered, and U.S. production boomed thanks to fracking, the trade in crude petroleum dwindled. On the other hand, the U.S. has also deployed fracking to great effect in Texas to produce natural gas. The result: Pipelines connecting the U.S. and Mexico are now sending natural gas to Mexico, where factories and power plants use the fuel, which burns much cleaner than coal, to create electricity. Between 2010 and 2015, the volume of natural gas pipeline exports to Mexico have more than tripled. And with gas cheap and abundant in the U.S., there’s the potential for much more. There’s something else going on in Mexico: For decades, government control put a damper on the growth of the country’s power industry. While the utility-scale solar business in Mexico is still essentially nonexistent, analysts expect the country will install six times as much solar capacity in 2016 as it did in 2015. Wind power in Mexico is somewhat more advanced, and the sectors are already providing opportunity for cross-border opportunity. For example, last year, a newly constructed wind farm in Baja, California, came online—and ships all its power to San Diego Gas & Electric. The development of large-scale solar and wind farms in power is a boon to the U.S. in other ways. Over the past decade, American companies and engineers have gained considerable experience and expertise in constructing giant wind and solar facilities. So guess who is building and developing some of Mexico’s most ambitious investments? San Diego–based Cannon Power and Spanish turbine maker Gamesa have teamed up to build a giant wind farm 15 miles south of the U.S.–Mexico border. When the Mexican government doled out huge chunks of solar capacity in an auction, the winners included U.S.-based Sunpower and a subsidiary of Canadian Solar. To a large degree, electricity markets in North America remain highly national. Only a small portion of the power produced in the North American Free Trade Agreement countries flows across borders. But the commitment by all three parties to have more clean energy will intensify such efforts. The U.S. has the potential to be a much larger market for Canadians’ huge wind and hydroelectric power resources. As I’ve noted, sometimes at night there is so much wind power in Texas that the price of electricity goes into negative territory. On those same nights, millions of customers in northern Mexico are starved for electricity. A more robust set of transmission lines crossing the Rio Grande would simultaneously lower electricity prices in Mexico while bringing more revenue to wind farm owners in Texas. Even if there is less appetite for having people move freely across the NAFTA borders, the incentives and opportunities for electrons to do so are growing. At least one part of the world is coming closer together. Do not hesitate to contact us if you have problems retrieving this document. 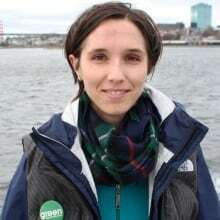 The Green Party of Nova Scotia says there’s a “100 per cent chance” it will be running candidates in the next provincial election despite word from the party’s former interim leader last week it was shutting down. Speaking to CBC News, Charles said he posted the blog to speak directly to the membership. 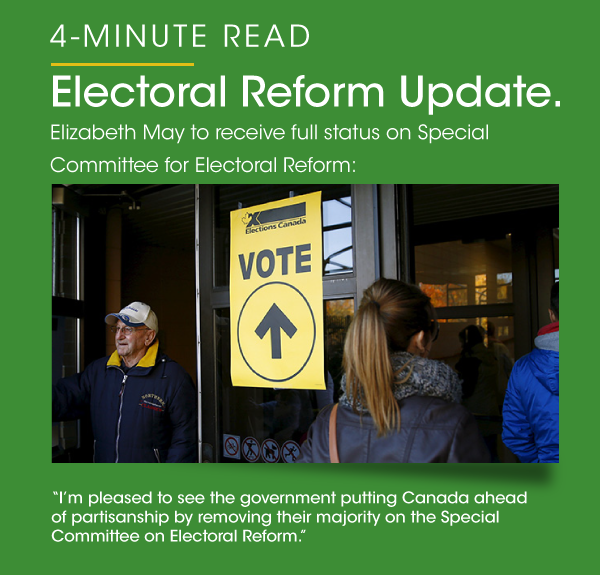 “I wanted to assure the membership that the party was not going to dissolve and that any questionability in the eyes of Elections Nova Scotia about our status needed to be clarified as well,” he said. In the post, Charles said he had met with officials from Elections Nova Scotia and assured them a replacement interim leader would be on the job by July 9. Brynn Nheiley, the party’s interim leader who also ran in the 2015 federal election, announced the party was shutting down on the same website June 14. She said a political party can’t exist without an active membership. “That was her opinion and that is not the opinion of the rest of the party,” Charles said. The posting from Charles said the Green Party remains a registered party with Elections Nova Scotia and there were no plans to change that. One of the party’s founders in Nova Scotia, Thomas Trappenberg, spoke to CBC’s Maritime Noon on Friday and said the party was still trying to figure out what prompted Nheiley to say the party was no more. “We suspect it is simply growing pains as the provincial party has been seeking a new leader,” he said. Charles agrees with that assessment. He also suggests the party executive has a differing opinion on the party’s future. “While Ms. Nheiley and some members of the executive have suggested the party can no longer move forward, there are other members of the executive who do not share this perspective,” he wrote. Charles admits party engagement is low at this point, but said it usually is with any political party when it’s not election season and it’s not a reflection of the amount of support the party has. He said the party suspects there will be an election this fall — and it would be ready for it. 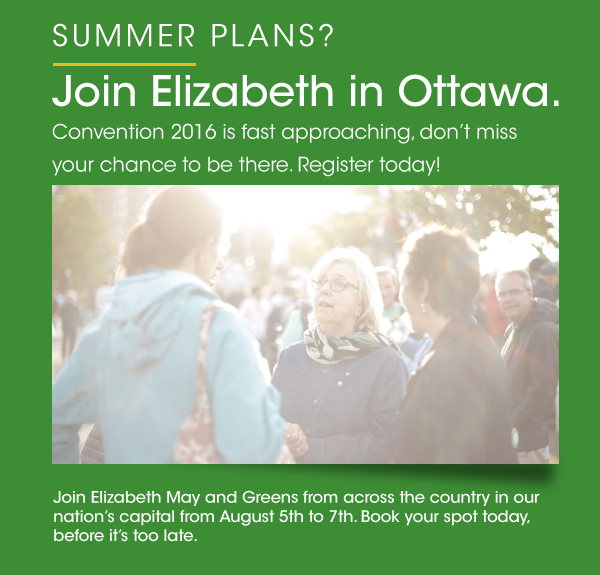 “There is a 100 per cent chance that the Green Party N.S. will run candidates for the next provincial election,” said Charles. He says the reaction to the party’s supposed demise is a good sign. 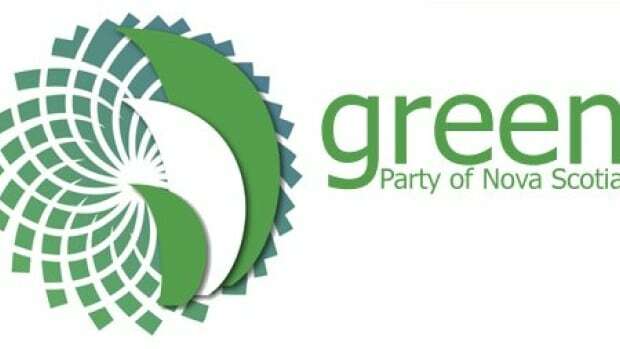 “The outpouring of supportive comments on social media has certainly illustrated that there is still tremendous support for the Green Party N.S. across this great province,” he wrote. Unreal! The National Energy Board woke up this morning to a fax tray loaded with over 500 letters of opposition to Enbridge’s permit extension. Have you sent your letter yet? Let’s run the NEB’s fax machine out of ink! Remember Enbridge? And the oil tanker proposal that should be dead and gone? They’re about to miss their National Energy Board deadline. This should mean the end of the Northern Gateway project, but instead of heading home to lick their wounds, they’ve gone crawling back to the NEB to beg for an extension on their permits. Why? Because they haven’t managed to convince a single oil company to sign a shipping contract with them, not to mention gain an ounce of social license. Can’t take a hint, eh Enbridge? The NEB will be considering the company’s request to drag this Northern Gateway thing out but, in a shocking twist, is accepting comments from the public before making their decision. Sweet! We have until June 27, 2016, to remind the federal pipeline regulator where British Columbians stand on this ridiculous proposal. This is important. If enough of us write in with concerns, it will be impossible for the NEB — and ultimately Justin Trudeau and his cabinet — to ignore us while making their decision on Northern Gateway. We really need you to write a letter. Taking no action on this opportunity will give the false impression to the regulator AND the Prime Minister’s office that British Columbians consent to Northern Gateway — that we’ve forgotten about it or stopped caring that toxic, sinking bitumen would be pumped through a pipeline only to be dumped out at our coastline and shipped off to China. Like most of us here in B.C., I do not consent to having risky projects pushed on my province, and neither should you. We deserve better. We deserve a say. Can you take five minutes right now to write a letter to the NEB demanding our voices be heard? Before you whip into a writing frenzy, I should note the catch: the NEB is only taking input by way of hard copy letters through Canada post OR via fax. Luckily, we have a solution that requires no prehistoric equipment – the almighty internet. Click here to write and send your letter and, through the magic of the interwebs, it will be magically transformed into a fax and sent directly to the NEB. The regulator has also made it clear they will not be accepting form letters of any kind, so we have provided step by step instructions for you to follow to make it easy peasy to write out your objection in your own words. Click here to see the steps and write your letter. In the time it takes you to make a coffee, you can help stop a pipeline and keep supertankers from invading our coast. 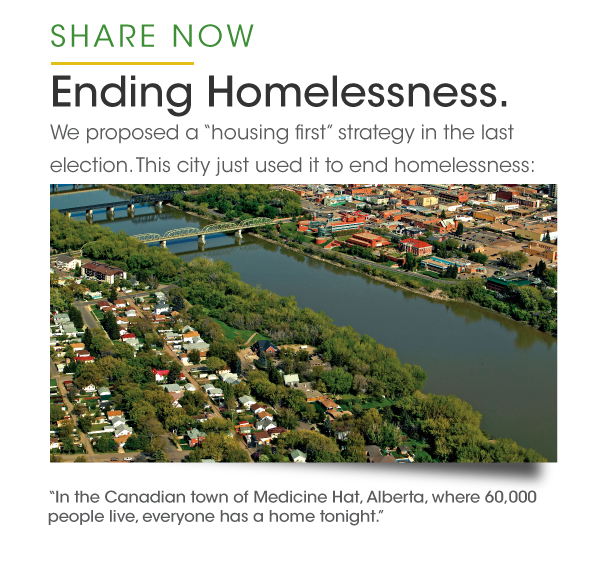 Join your friends and neighbours who have already committed to sending a letter by clicking here. 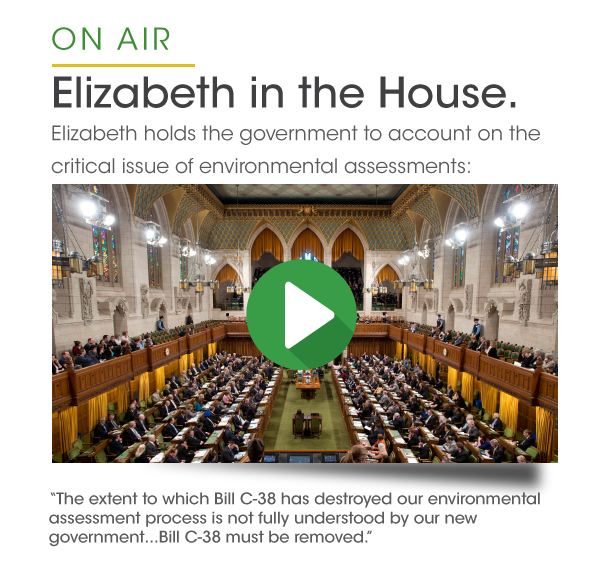 The NEB needs to hear from informed and engaged people like you. We may not get an opportunity like this one again. P.S. If you write and send a letter to the NEB today, the Prime Minister and his cabinet can’t pretend to ignore the majority of British Columbians who oppose this oil tanker project. We’ll be right under his nose, in black and white. Thank you for joining us in this. A group of environmental activists in Saint John are urging the New Brunswick government to create a new department, called RenewNB, to oversee a $20 per ton carbon tax investment plan. The plan was unveiled at the Clean Energy East Summit, held at the same time as the large, more industry-oriented East Coast Energy Conference happening at the Trade and Convention Centre next door. With numerous politicians and businesspeople attending the larger conference, local clean energy activists felt like their message was being lost, so they got together and put together a free conference with limited funds. Mark D’Arcy, a campaigner with Council of Canadians in Fredericton, helped to organize the conference. “We wanted to counter the message, and this project for Energy East is years away from even a decision on it,” he said. But most of the presenters, with topics such as solar, wind, and tidal energy, were speaking to the converted: roughly 25 supporters showed up on the first day, and there were even fewer on the second. While D’Arcy was focused largely on the job-creation aspect of the clean energy field, many presenters were more focused on the technology and plans for the energy itself. Chris Rouse, the founder of New Clear Free Solutions, came up with the carbon tax and investment plan the group is promoting. “First, there’s an economy-wide carbon tax where everybody pays their fair share, $15 to $20 per ton,” he said. He said the plan makes a lot of money out of a small tax because of the compound interest, where the money multiplies as it is continually reinvested into the public companies. Rouse came up with the plan on his own at home, and while speaking with others, he realized if he used basic economic principles, he could make it work. Now, he is in the process of getting it modelled more professionally so that he can begin presenting it to the province officially. 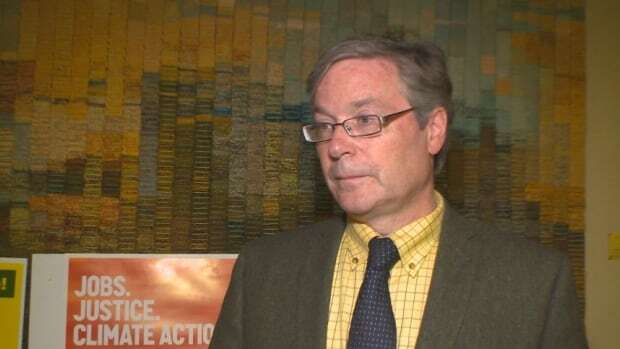 “Right now, there is a policy vacuum, both federally and provincially, and all the governments are looking at carbon taxes and different types,” he said.